IMPORTANT: Holds TV's up to 75" when TV is measured diagonally. Actual unit is 71" wide but TV overhang on either side is suitable. This contemporary and elegant Techni Mobili TV stand, for TVs up to 75", is designed to fit any bedroom or family room. 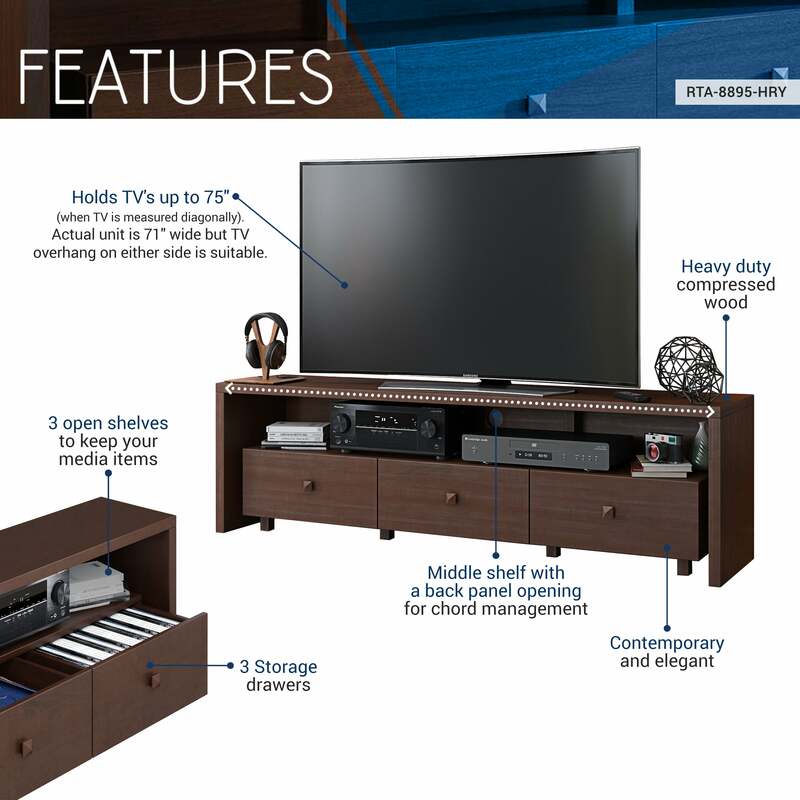 It includes three drawers and 3 shelves providing storage for your electronics and gaming accessories. Middle shelf has a back panel opening for cable management. The Techni Mobili TV cabinet is made of heavy duty compressed wood and laminate surface that is resistant to scratches. Important: Holds TV's up to 75" when TV is measure diagonally. Actual unit is 71" wide but TV overhang on either side is suitable. Color: Hickory & Walnut. Techni Mobili Expandable TV Stand Console for TV's up to 65"